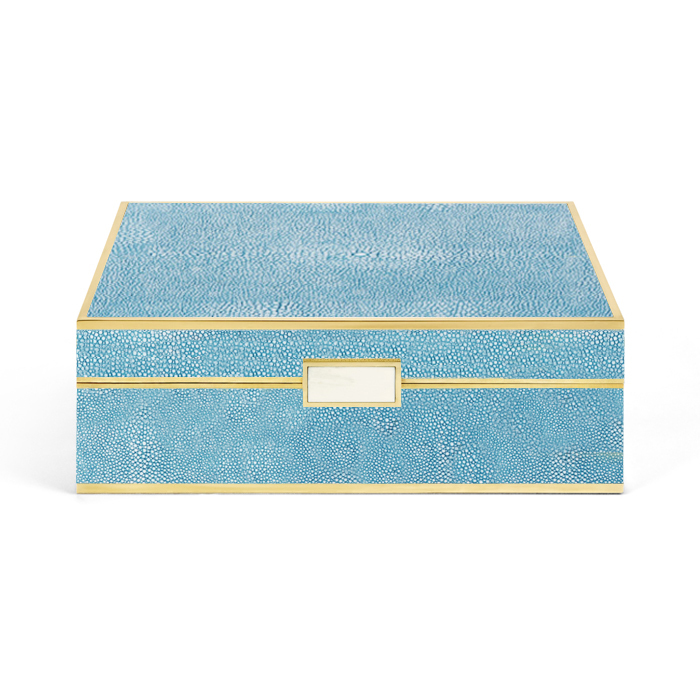 I pretty much love anything in shagreen. 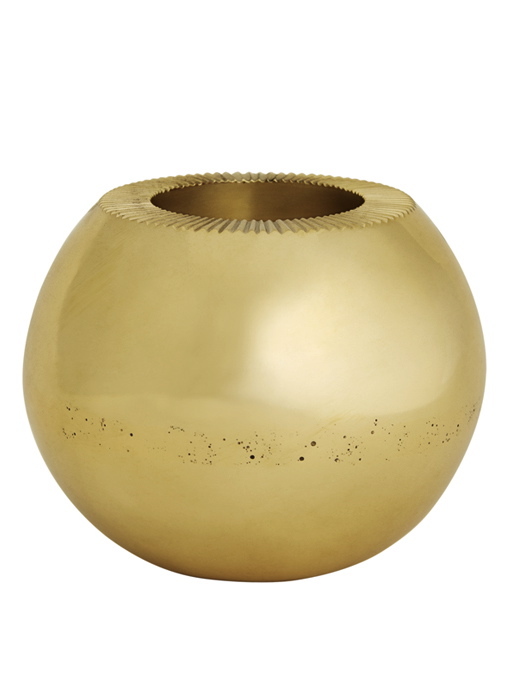 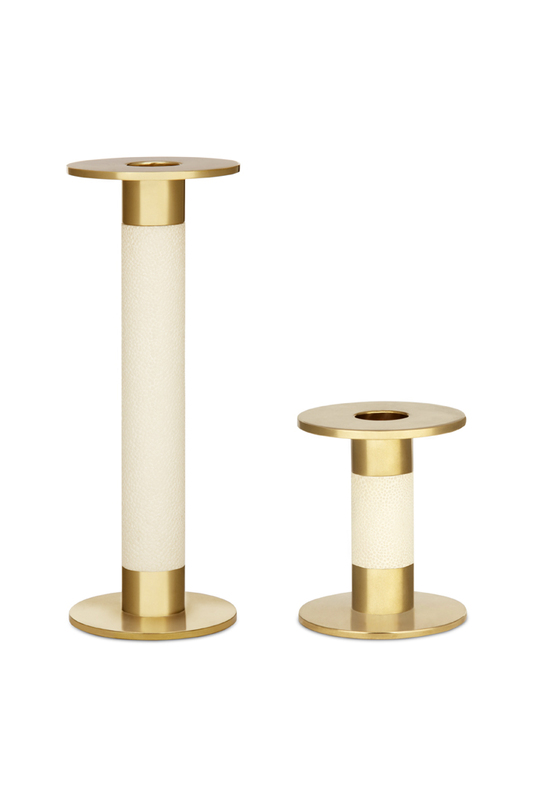 These candle sticks are awesome and this jewelry box would look so pretty atop a vanity or dresser. These two would make great housewarming or hostess gifts! 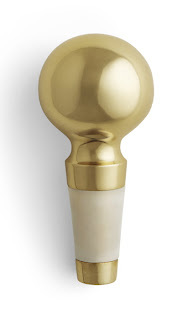 The sphere match striker would be perfect for the person that has everything and the brass white stopper is just good, simple design. I love having natural accents incorporated into home decor, weather it be on top of a stack of books, on a bedside table, or even on a coffee table. It is an easy way to add another texture to a space. 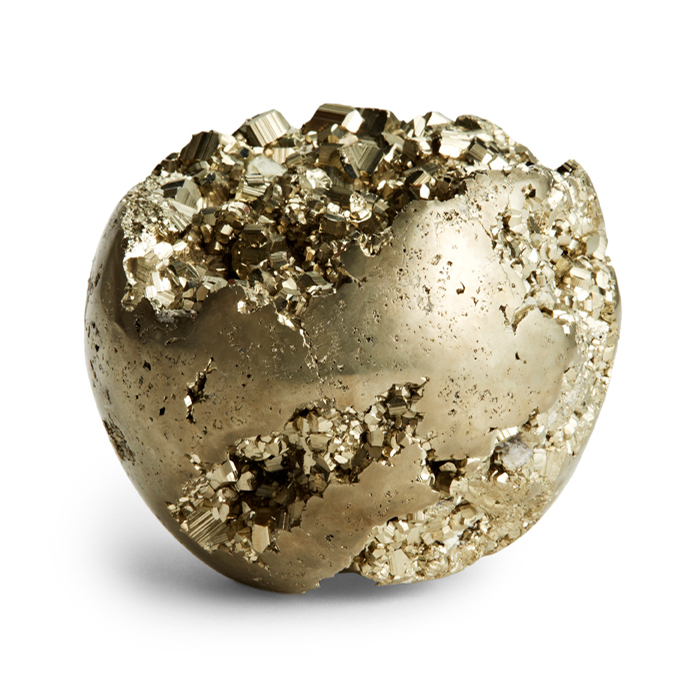 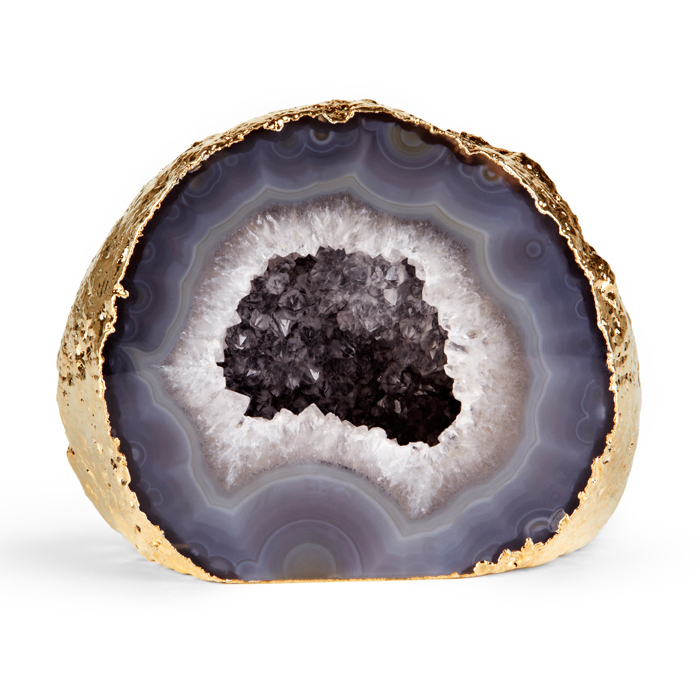 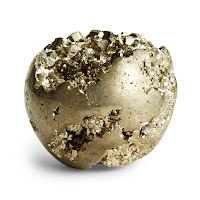 This gray geode with a gilded exterior would be perfect on a bookshelf and this pyrite sphere is just sooo cool! 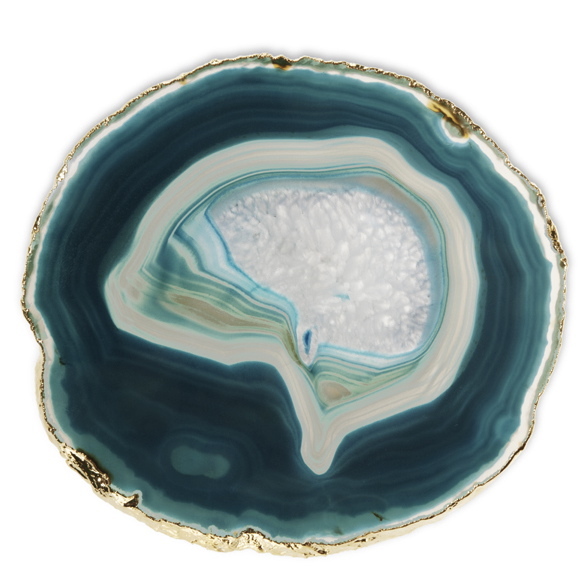 For easy art you can frame this agate trivet in a shadow box like Erica Cook from Moth Design did here. 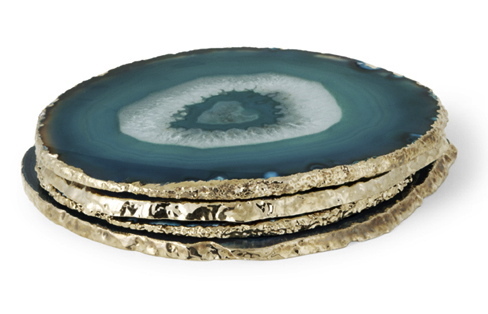 If you have smaller walls you are needing something for you can also frame this set of agate coasters like I did here.